I’m sure I’ve mentioned this at some point, but my mom is one of 7 kids, so I have aunts, uncles, and cousins all over the place. And my grandfather was one of 16 kids, so I literally have cousins I wouldn’t even know if I saw them on the street. Back in May, my great aunt Juanita passed away. She was the last of the 16 kids of my grandfather’s generation. She was in her 90s and had been in failing health for a long time, but it was still sad. My mom and I flew to New Orleans for her funeral, and my sister flew in from Austin and met us there. 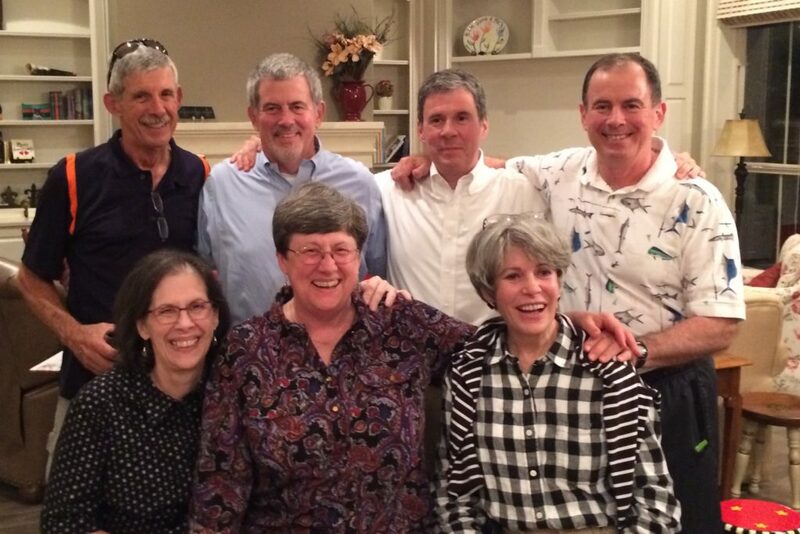 It’s rare to get my mom and all of her siblings in the same place at the same time, so at some point, we made them huddle up so we could get a picture. And this happened, which I think is hilarious because the boys are all standing nicely for their picture while the girls are complete crack-ups. See that guy in the back right, the shirt with fish on it? That’s my uncle Mark. Remember him, he’s important to this story. 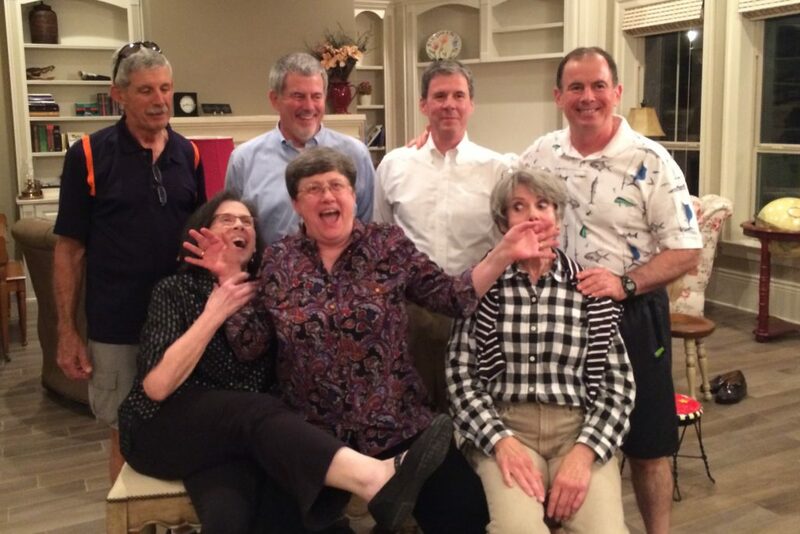 Mark has always been the practical joker of the family. When he was a kid, he poked holes in a tube of toothpaste with a straight pin and waited to see who’d be the next person to squeeze it and get toothpaste all over themselves. It was my mom. She still tells the story about how he ran and hid behind their mother when she was about to murder him. My grandmother’s defense was, “He has a scientific mind, he was curious to see what would happen!” My grandmother was basically a saint. Because our family was so big, we used to do Christmas presents via a name exchange – instead of having to buy a bunch of small presents for everybody (because who can afford to buy 30+ Christmas presents? ), we all drew a name at random and got one nice gift for whoever we picked. One year, Mark got my sister Tracy. She unwrapped this pretty velvet jewelry box, opened it, and inside was… a rubber cockroach. With a safety pin stuck through it. The roach brooch. Or just broach. I believe there was also a real non-prank gift, because he isn’t a complete jackass, but this gives you an idea of his sense of humor. Anyway, Mark and his wife (my aunt Pam) recently moved to a new house in New Orleans, and they’ve been cleaning out some stuff that belonged to my grandmother, which they’ve had in storage since she died. He emailed me a picture of a doll that belonged to my grandmother, and asked if Lucy wanted it because he knows she loves baby dolls. It was the most horrifying thing I’d ever seen – not even really a doll, more like a potato sack with a disfigured face embroidered onto it. My reply to his email was basically, “Haha, yeah that’s funny, don’t you dare send that thing to my house.” I also told him that he should burn it, and bury the ashes somewhere really remote, so that when it re-animated itself, it wouldn’t be able to find him. Last week, we went over to my parents’ house for dinner, and my mom said “Oh hey, Mark sent a box with all kinds of stuff in that you should check out.” There was a photo album on the top, and I thought oh wow, that’s cool to have copies of all of these old photos. So I picked it up, and underneath the photo album was this nightmare. Not gonna lie: I screamed like I was in a horror movie. BECAUSE I WAS. 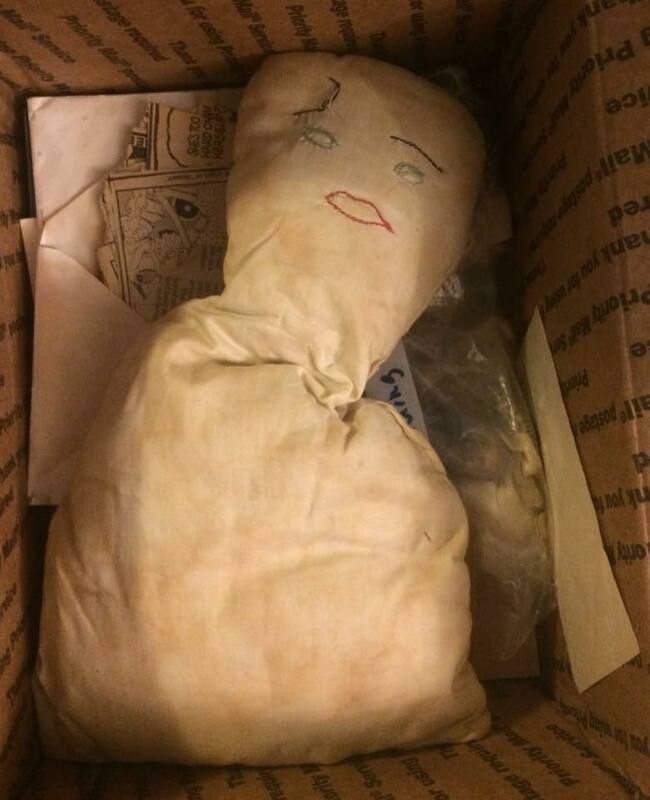 Apparently the story of this doll is that my great-grandmother (my grandmother’s mom, not the one who had 16 kids) made it for my grandmother when she was a little girl. And important side note: my great-grandmother didn’t know how to sew. OBVIOUSLY. My grandmother was not quite a hoarder, but she had a hard time letting go of things. Like, her house was always tidy and clean, but the closets and attic were always packed to the gills. I suppose I should be grateful to have something that she deemed precious enough to keep all those years, but I just look at that doll and shudder. I’m waiting for it to come to life and strangle us in our sleep. And for the record, my baby doll-loving Lucy looked at that doll and made a face. “What is THAT?” Even she knew something was wrong with it. My aunt Michele made a comment about not having many things that belonged to my grandmother (her mother), so I’m thinking about mailing it to her. Preemptive apologies to the city of Atlanta when this doll comes to life and goes on a murder spree, but at least it’ll be a nice long distance from us. In the meantime, I left it at my parents’ house. Just to be safe. This entry was posted in Friends & Family, Funny by Cindy. Bookmark the permalink.